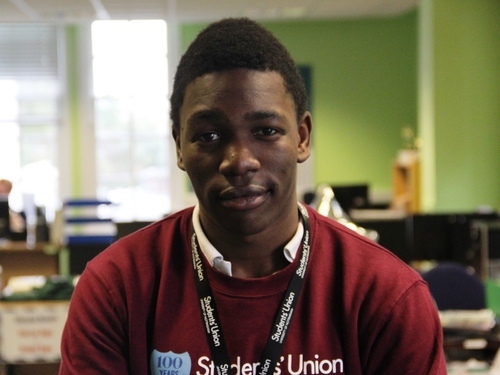 Michael Biodun Olatokun received his Diana Award in 2011 and is now a Diana Award Trustee. Here’s his story. Twelve months ago I wrote about the ways in which The Diana Award, a charity giving effect to the legacy of Britain’s most cherished icon, champions the infinite potential of young people to change the world. The Diana Award is one of the biggest influences on my development as a young campaigner and activist, and I am immensely proud to be one of its trustees. In 2017 the organisation went deeper and further in its mission to enhance the ability of young people to make a difference to society, and here I outline three outcomes achieved in that process. The first outcome was providing 700 young people with mentors for employment, the workplace and their personal development. The second area was increasing the reach of the Anti-Bullying Ambassador programme to 3,000 schools across the UK, reducing loneliness and victimisation where their impact can be most detrimental in an individual’s life. This also saw over 20,000 schoolchildren trained as peer ambassadors to prevent bullying. The third outcome was recognising the activities of thousands of young people from around the world and giving twenty exceptional activists the distinguished ‘Legacy Award’. It is that third aspect that I reflect upon here. The Diana Award uniquely celebrates youth-led social action by shining a spotlight on children and young people that make a difference. Social action is defined as an activity that has a dual benefit for society and for the individual performing said social action; it is a transformative form of volunteering. Where the Diana Award differs from other youth awards is its retrospective nature. Diana Award holders perform the activities that go on to form the substance of a nomination for no reward, but for instinctively altruistic motives. There is no guarantee that a particular form of social action or campaign work will be recognised by a Diana Award; it is only after completion of activities that an individual receives a nomination. And as a former recipient, I can honestly say that receiving the award if life changing. Every time we guide a young leader across a stage to claim their well-deserved reward, we prove to young people everywhere that they have the agency to be the change they want to see. This in turn encourages new leaders to participate. Creativity, optimism and innovation are key features exhibited by Diana Award holders, and they show policy makers of any age that the world truly can be a better place if we take a youthful approach to decision making. The Diana Award selection process is methodologically robust and incorporates a wide range of perspectives in deciding to reward a young person. A panel comprises four members; this year will see two former Award holders, an education sector representative and a government/business professional work together in each panel to assess nominations in each panel. We then discuss whether individual young people receive the award, with a select few being shortlisted for the charity’s highest honour, the Legacy Award. It brought a tear to my eye to read through the personal and community hardship that our young people have broken through in order to create positive change in society, and I am truly proud of our legacy award holders. The legacy award holders were chosen due to their exemplification of the princess’ qualities of kindness, compassion and service. Their stories were intensely inspiring and captivating, casting considerable doubt on the idea that young people are the leaders of tomorrow; their achievements clearly showed that young people can lead the world today. The boundless energy and capability displayed as each story was recounted brought a tear to my eye. It was difficult to pin down who was most inspiring. Jayden Arnold is an American student who has suffered abuse in the past for having Tourette syndrome and autism. These experiences motivated him to take a passionate stand against bullying by teaching almost 200,000 other young people over the course of a decade to treat each other with empathy and kindness, devising a new anti-bullying curriculum for schools that has been spread worldwide. Amaan Iqbal Ibrahim is a 16-year-old community organiser from the United Arab Emirates who has led hundreds of students in his local area to provide food for local labourers irrespective of their social class or situation. Nikhiya Shamsher, founder of Books, Bags and Blessings, provided over 4000 disadvantaged students in India with essential items required for education. Their access to the dignifying world of education would have been impossible without her support. Perhaps the most awe-inspiring moment for me was when Jonathan Bryan, an 11 year old from Wiltshire collected his award. Despite facing difficulties throughout his life (he was born with cerebral palsy and renal failure) Jonathan has not allowed circumstance to silence him. He communicates via a spelling board attached to a piece of perspex, with his communication partner reading his gaze to each letter. Using this setup he has authored inspirational documents such as a Guardian Experience article and a petition-based campaign to ensure educational provision across the country for non-verbal children. This petition has received over 230,000 signatures at the time of writing and has led to negotiation meetings with the Department for Education. The stories above are only the tip of the iceberg in the rich narrative of young people’s achievements, and we need your help in ensuring that that narrative is as complete as it can be. When I first began my personal journey into social action, I experienced tremendous doubts over whether I made a difference or not, and I understand that many mentors or teachers of young changemakers reading this might doubt the suitability of their achievements for this process. My only response to that concern is that more adults should believe in, and shout about, the inspirational young leaders that make them proud. It was only through nomination by someone that believed in me (a youth worker) that I was put forward for this process initially, ensuring that my story was told and reaffirming my early commitment to society. Every young person nominated in the Diana Award process is judged on their own merits and with regard to the totality of their circumstances. If you know of an exceptional young person that meets the criteria of being visionary, creating a social impact, inspiring others, showcasing youth leadership and demonstrating a personal journey, make sure that you fill out our nomination form by 12th April 2018! Nominations for 2018 close on April 12th 2018!